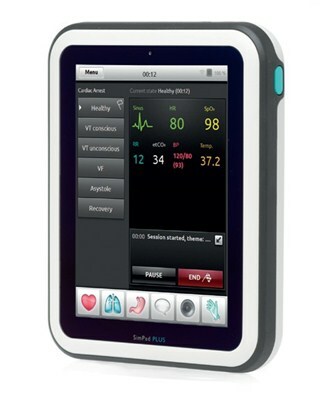 A SimPad PLUS System is required for operation of the SimPad Blood Pressure Training Arm. The SimPad PLUS System is sold separately. Learn more about SimPad PLUS. Blood Pressure Training Arm with a putty colored connection cable can be used with a VitalSim Control Box directly. In order to use this trainer with a SimPad System, an adapter cable will be needed - item: 200-30450. Blood Pressure Training Arm with a black connection cable can be used with a SimPad PLUS System directly (no adapter cable required).